Dutch MPs are supposed to decide by the end of the month whether to back dropping winter or summer time – in line with Brussels’ plans to stop moving the clock – but are still divided, the AD reported on Tuesday. The Christian Democrats, who count the nation’s farmers among their biggest supporters, have not yet decided on their position, the paper said. Nor have the two ruling liberal parties, the VVD and D66. The Socialists would like a referendum on the issue, while the left-wing green party GroenLinks is open to persuasion. ‘You have experts who say go for winter time, and those who back summer time,’ said a spokesman. ‘What we do think important is that we don’t have a time difference with our neighbours’. The Labour party is the only one which has made up its mind, the AD says. ‘The system was devised for a reason, so let us keep it this way,’ MP Attje Kuiken said. A Maurice de Hond opinion poll also shows that the Netherlands is deeply divided on the issue. Some 44% back permanent summer time, while 38% would like it to be permanently winter. The cabinet has been carrying out its own poll under a small group of people and could announce its decision by the end of this week, the AD says. Opting for summer time will mean longer evenings in the summer months but in the winter it won’t get light until around 10am. 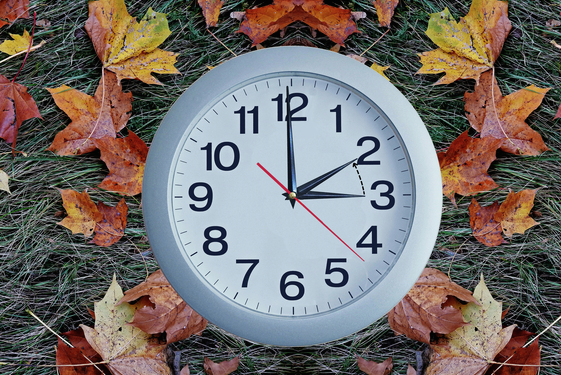 Meanwhile, the Netherlands will switch to winter time at the end of this month, when the clocks go back one hour.